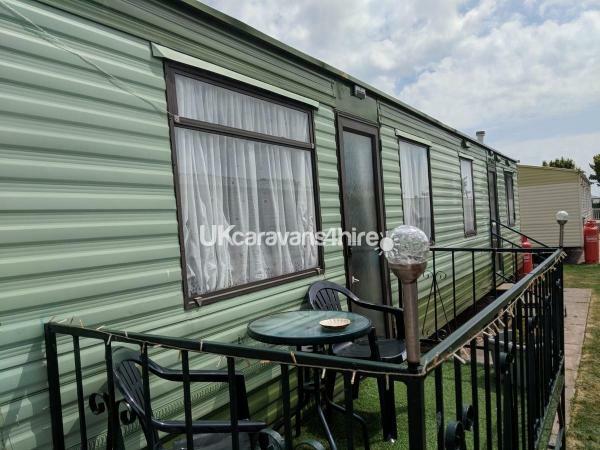 6 berth, 2 bedroom modern caravan with enclosed veranda on The Wolds Holiday Park in Ingoldmells. 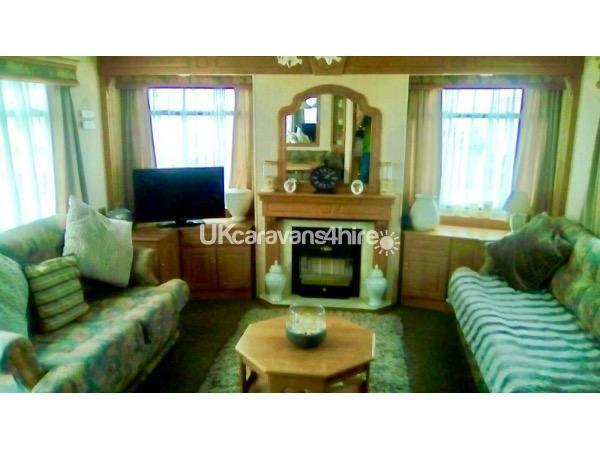 1 double bedroom with en-suite, 1 twin room, both have fitted wardrobes. Open plan kitchen diner comes fully equipped with everything you will need for your stay, including free Wi Fi, microwave, kettle toaster,fully fitted kitchen including hob oven and grill. 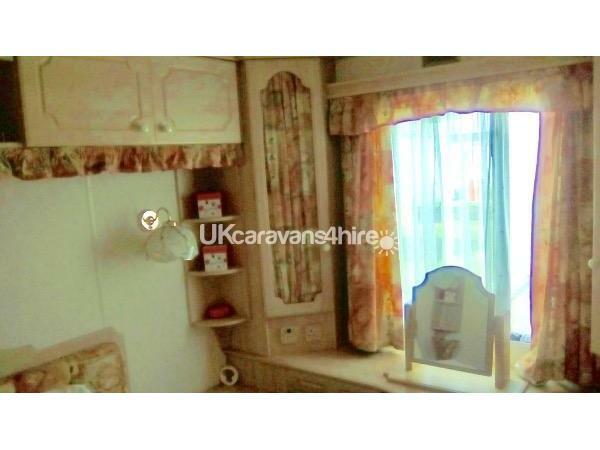 Fridge, and all crockery, cutlery,cookware and utensils etc. 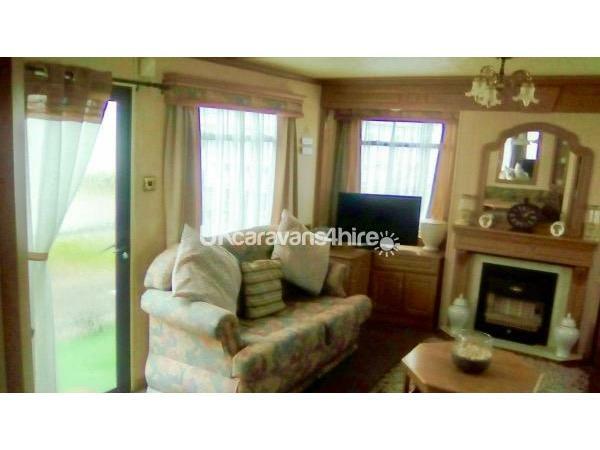 Spacious living area with gas fire, flat screen TV with free-view, dining area with table and chairs. Access on to the veranda with outside chairs provided. 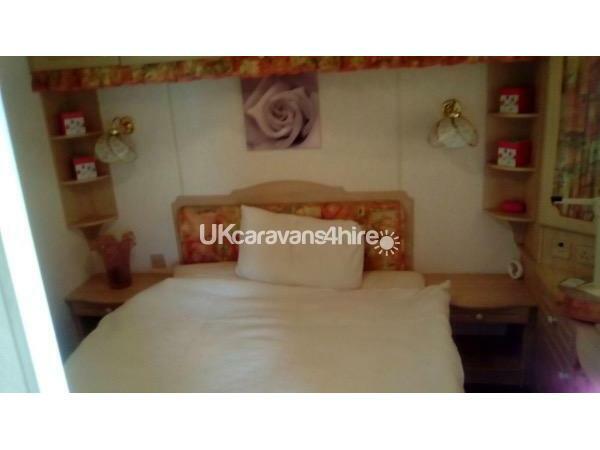 The bedrooms are provided with quilts and pillows and all mattresses have protectors. We ask you to bring your own quilt covers, pillow cases and sheets. 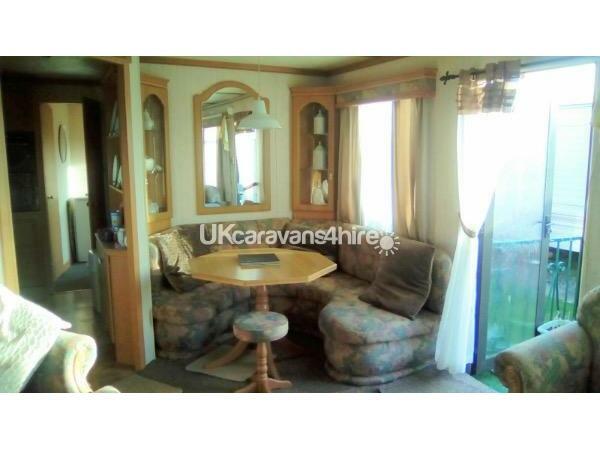 On site parking area directly at the side of the caravan. 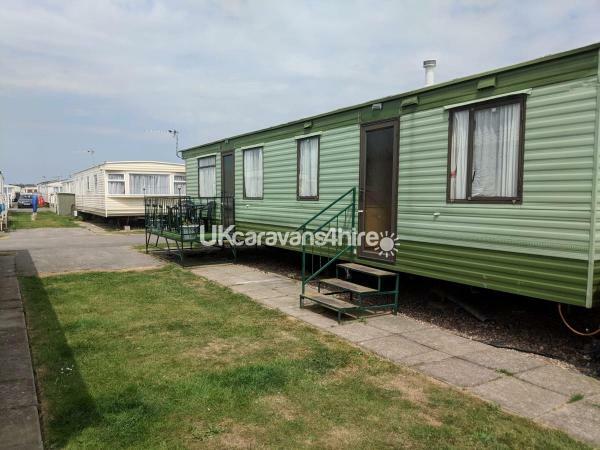 The Wolds Holiday Park is a quiet site situated on Anchor lane near the Anchor Pub which has a family room, kids entertainment,disco and playing machines. They also do great food at reasonable prices. Dog friendly too. Wolds is minutes walk to the nearest amusements/shops/pubs/fish & chips and just a few minutes walk to the sandy beach at Vickers Point. A 10 minutes stroll and you are in the heart of Ingoldmells with Fantasy Island theme park and Eastgate market the largest 7 day market in Europe. Hardy's animal farm is 5 minutes walk a great day out for the kids with indoor and outdoor play area's, animal feeding and cafe. You can book online before you visit saving time and money. There is a great bus service on the doorstep that runs to Skegness, Chaple St Leonards and Mablethorpe and Butlins. 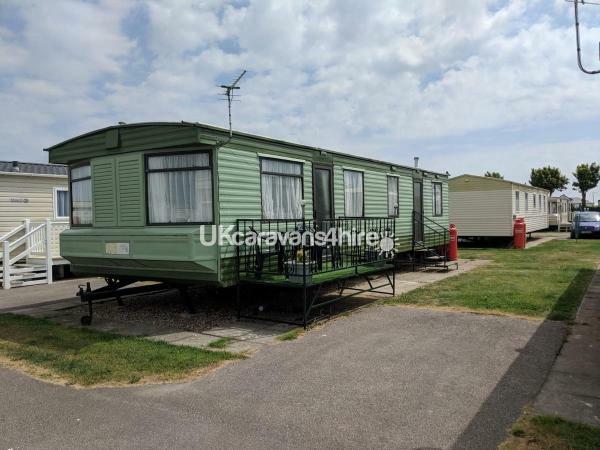 Golden Sands site is situated next door to The Wolds Park, both parks are owned by Laver Leisure and guest at Wolds are welcomed to use its amenities. The park has its own sports bar and family amusement arcade, with direct access to the beach and scenic lake. It is ideal for families and both young and old alike. The Park also boasts a modern well-equipped launderette. Guests are invited to enjoy a refreshing drink and relax at The Sands Bar, where they will be welcomed in the fully licensed bar or watch sports in 3D at the Millennium Bar. Families are catered for in the well-appointed Family Room. You are welcome to bring along family pets as long as they are well behaved and under control at all times.